Payment can be completed using credit/debit (I will invoice you for an additional fee), or through PayPal, Venmo, Cash App, Apple Pay or FB Messenger Pay. 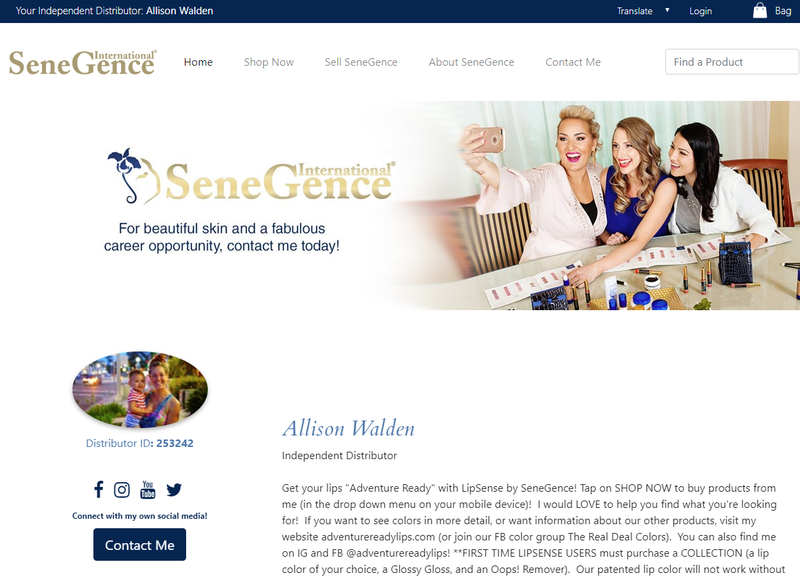 I sell all SeneGence products, I am an independent distributor. I can help you with any and all of the products we offer. Just send me a message and I'll help you find the perfect shade of foundation, or answer and questions you might have! If you want to order something and you don't see it on my site, please email me at adventurereadylips@gmail.com and I'll get what you're looking for. I have a whole team behind me that can help, even if something is sold out! I also offer Gift Certificates that you can purchase for gifts. I can send them to you to give, or right to your recipient with a note from you. Just let me know! *If it is your first time ordering LipSense, you have to start with a kit. The kit includes a color of your choice, Glossy Gloss and Oops! Remover, all for $55 (plus shipping/handling).